A large interest was seen in a replacement for Microsoft's Small Business Server at the Univention stand at CeBIT 2013. In particular, the Windows server alternative Univention Corporate Sever (UCS) and integrate groupware from Zarafa. 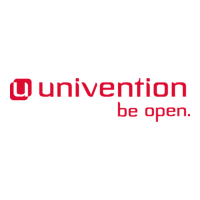 Since December 2012 Univention has reported more than 6,500 downloads of their infrastructure solution UCS which is equipped with Active Directory-compatible services. Zarafa, the Open Source groupware and collaboration software, which can be compared to Microsoft Exchange, can be installed in UCS with just a few clicks. Read more on-line.